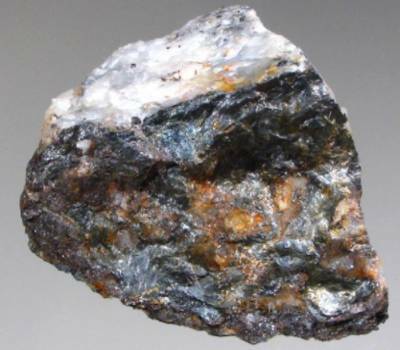 Argutite, formula- (GeO2) is a rare germanium oxide mineral. It is a member of the rutile group. It was first described as an occurrence in the Argut deposit, central Pyrenees, Haute-Garonne, France in 1983. The type locality is within a zinc ore deposit within lower Paleozoic sedimentary rocks that have undergone metamorphism. 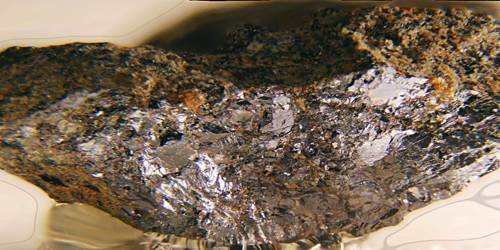 Associated minerals include sphalerite, cassiterite, siderite, and briartite. Mutual solubilities in crystalline phases in the system SiO2–GeO2 have been investigated up to 10 GPa pressure and 1500°C temperature, using a bulk composition of 50 mol% GeO2. The solid solution of up to 40 mol% GeO2 into the mineral quartz has been confirmed as well as the solubility of Si into GeO2 rutile (argutite) and Ge into SiO2 rutile (stishovite) phases and limited Ge into coesite. The extensive solubility of SiO2 in GeO2 is found in argutite at 1200°C, increasing strongly with pressure and reaching a maximum of 25.2 mol% SiO2 in GeO2 at 9 GPa. Occurrence: In a zinc deposit formed in metamorphosed lower Paleozoic sediments. Association: Sphalerite, cassiterite, siderite, briartite. Distribution: From the Argut deposit, the central Pyrenees, Haute-Garonne, France. Name: For the occurrence in the Argut deposit, France.